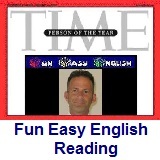 ﻿ Fun Easy English - reading practice and learning about the holiday Sukkot. Sukkot, Succot or Sukkos (Hebrew: סוכות‎ or סֻכּוֹת sukkōt or sukkos, Feast of Booths, Feast of Tabernacles) is a biblical Jewish holiday celebrated on the 15th day of the month of Tishrei (varies from late September to late October). It is one of the three biblically mandated festivals Shalosh regalim on which Hebrews were commanded to make a pilgrimage to the Temple in Jerusalem. It follows the solemn holiday of Yom Kippur, or the Day of Atonement. The holiday lasts seven days (eight in the diaspora). The first day (and second in the diaspora) is a sabbath-like yom tov (holiday) when work is forbidden, followed by the intermediate Chol Hamoed and Shemini Atzeret. The Hebrew word sukkōt is the plural of sukkah, "booth or tabernacle", which is a walled structure covered with schach (plant material such as leafy tree overgrowth or palm leaves). The sukkah is intended as a reminiscence of the type of fragile dwellings in which the Israelites dwelt during their 40 years of travel in the desert after the Exodus from slavery in Egypt. Throughout the holiday, meals are eaten inside the sukkah and some people sleep there as well. On each day of the holiday, members of the household recite a blessing over the lulav (closed frond of the date palm tree, bound with boughs and branches of the willow and myrtle trees) and etrog (yellow citron) (Four species). Sukkot is a fun Jewish holiday. Sukkot is agricultural in origin. During autumn many cultures around the world hold celebrations which give thanks for food typically harvested around this time of year. 1. Sukkot is which of the following? 2. Sukkot is the 15th day of which month in the Hebrew calendar? 3. Sukkot is one of the three biblically mandated festivals on which Hebrews were commanded to do which of the following? 4. The Hebrew word sukkōt is the plural of sukkah, which is which of the following? 5. The sukkah is the type of fragile dwellings in which the Israelites dwelt during their 40 years of travel in the desert after the Exodus from slavery in which of the following countries?